JUNIOR PROM: The annual Junior Prom will be held on Saturday, April 28, 2018 in the senior high school gym from 7:00 p.m. to 10:00 p.m. We hope that members of the Class of 2019 and their guests will have an enjoyable and memorable evening as they participate in this significant high school tradition. 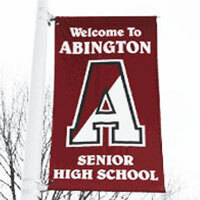 SERVICE LEARNING: Help bring an Inclusion Park to Abington. There is a special ongoing service project opportunity for current grade 10 students, which may be eligible for graduation project. ABINGTON GIRLS’ LACROSSE TEAM: The Abington Girls’ Lacrosse team is selling t-shirts to raise funds for Autism Awareness. Pre-sales will occur in cafeteria A during lunch periods. The shirts are $10 and if you wear the shirt to the Wednesday, April 25th night games in Schwarzman Stadium, you will be admitted FREE. This is a doubleheader event so the t-shirt will provide free admission to the Boys’ Varsity lacrosse game against Upper Dublin at 5:30 PM AND the Girls’ Varsity game against Wissahickon at 7:00 PM. Leo Club – We have a meeting TODAY, April 9th, to plan for our ESCAPE ROOMS! Come help plan and get excited for this fun event! Snacks provided! See you there!